A back yard design in September. 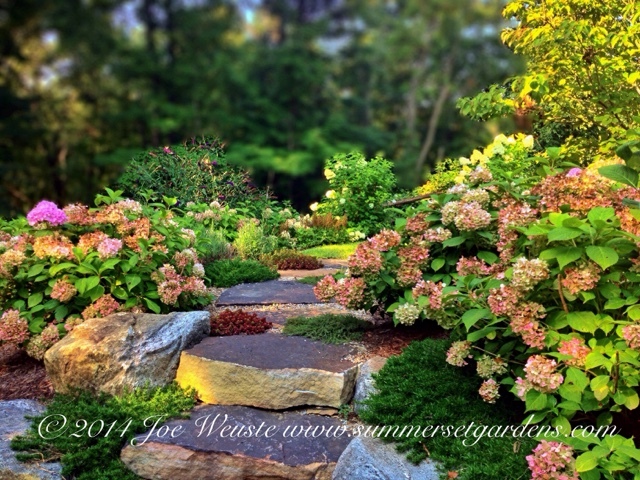 I softened the stone steps and path with low growing perennials. The Hydrangeas are past their prime but still look nice. Swimming pool, landscape, garden design and construction services in the NJ and NY areas.